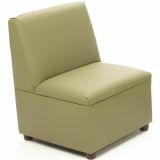 Our new casual chair provides comfortable seating in a modern, compact design. 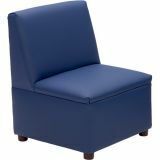 Upholstered in polyurethane, it is PVC-free. 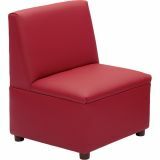 Available in 3 colors and measures 20"L x 20"D x 26"H. One year warranty. 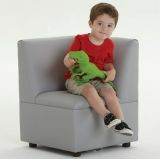 Our new corner chair provides a quiet space for any classroom or setting. 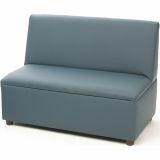 Upholstered in polyurethane, it is PVC-free. Available in 2 colors and measures 20"L x 20"W x 26"H. One year warranty. 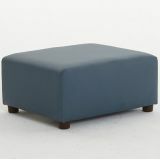 Our new ottoman completes any seating area and offers multiple functions. 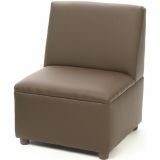 Available in 2 colors and measures 21"L x 18"W x 11"H. One Year warranty.